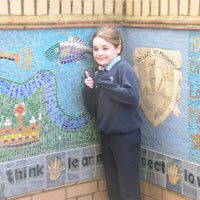 The 9 square metre mural was completed with pupils and depicts the school's Golden Jubilee Celebrations. 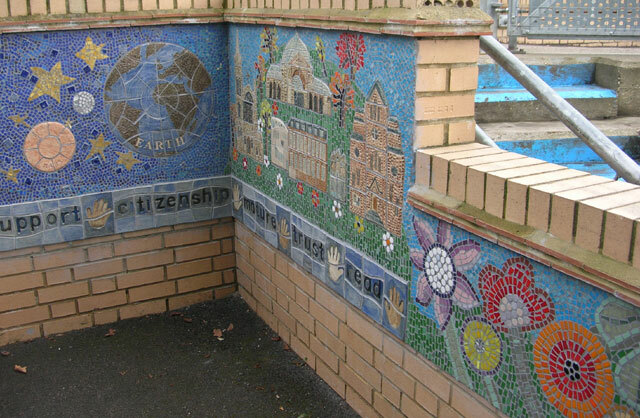 The mural has been designed to portray a feeling of inspiration and creativity through education, where trumpets, rockets and flowers intertwine with the planets of the solar system. 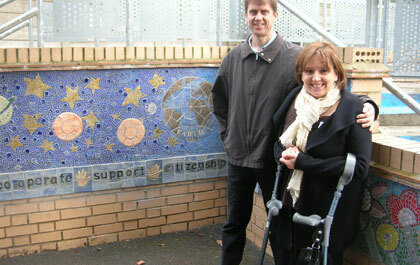 An illustration of the River Thames is also featured flowing through the mural, highlighting the school's location of Muswell Hill within the geography and the solar system! 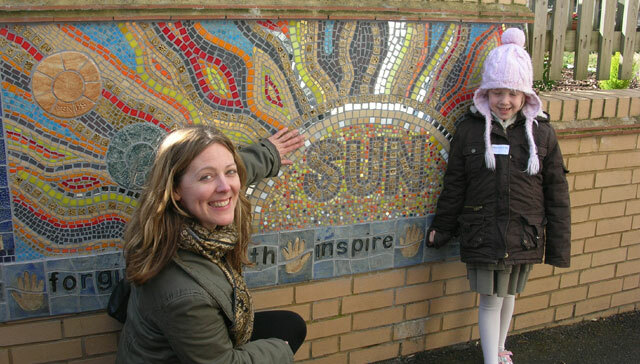 Teresa McBride, Headteacher: "Working with Maud and the other artists/muralists from Artyface was a wonderful experience for the whole school community. 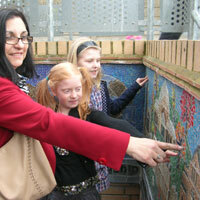 Pupils, staff, parents and governors were all given an opportunity to contribute to the design and making of our golden jubilee mural. 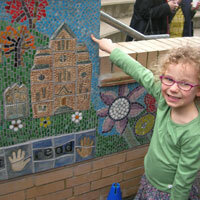 The mural itself is a masterpiece, which reflects our school and all we aim for. 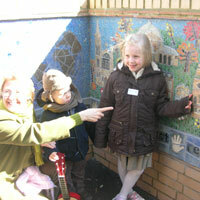 Every visitor has made positive remarks about our mural and it will be a wonderful reminder of our golden jubilee celebrations long into the future." Sponsored by Ardex (www.ardex.co.uk): ARDEX worked in close partnership with Artyface from the outset of this project by specifying the most suitable tile fixing system and assisting with technical advice and support when required. 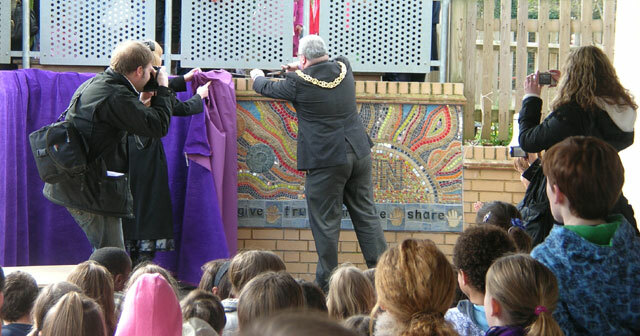 The mayor officially unveils the mural while pupils and parents look on. 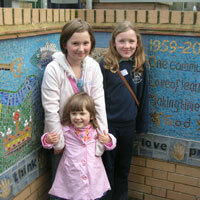 The mural is passed by and touched and enjoyed by hundreds of children everyday! 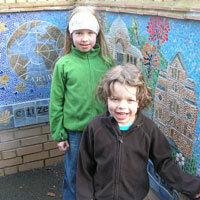 They are rightly proud of their achievements.